How and in which way should I introduce a destination to a future traveller or just a curious reader providing them with useful informartion while avoiding to sound flat like some cheap tourist guidebook – it has always been a challenge to me. I will give my best to bring Japan a bit closer to you, their customs, city life, tradition (while not sounding like a history book), creative and magnificent cuisine…. It is impossible to cover all of it and that is not my objective anyways, I’d just like to give you a taste of it and once you decide to visit the country, you can enjoy all of its surprises and discover something by yourselves as well. Here are some practical information to begin with: when and how to travel? The best season to visit the country is Spring, from the mid-March to mid-May, and Autumn, September and October. Summer in Japan is particularly hot and humid and Winter is cold and snowy – keep in mind that the country is located on the islands, surrounded by the oceans and open to very cold winds. Of course, if you are on the budget and happen to stumble upon extremely good price deal for the plane ticket, you can always adapt. I traveled with Quatar Airways (they often have quite cheap prices) passing through Doha and arriving in Narita (Tokyo Airport) and paid 460 Euros for the two-ways ticket. 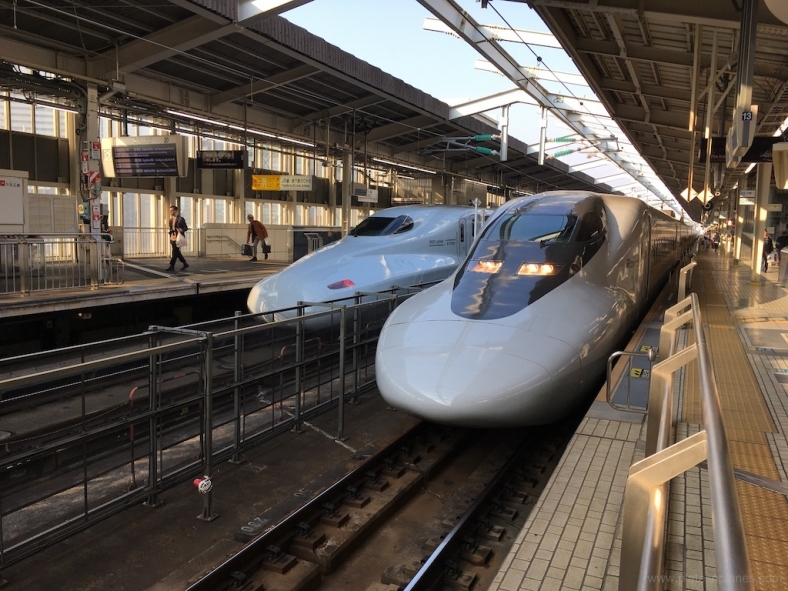 To move throughout the country, I recommend ultrafast, affordable and extremely well organized and comfortable Shinkansen trains. They cover almost all of the destinations and even the parts of the bigger city between themselves. The ticket can be valid for two, three, four weeks, but has to be bought in advance before the departure and certified once you arrived in Japan. When staying in bigger cities for just a night or two, we enjoyed some of the numerous bussiness hotels within the convenient price range and for the longer stay, we opted for Airbnb studios. I wasn’t quite sure what to expect of it, to me Japan was a “gap” between the Kurosawa’s movies about the honor, duty, unquestionable dedication to the traditional values and Murakami’s melancholic characters. And as much as I tried to, I couldn’t put those two world together: composed geishas, courageous samurais and resignated characters in the search for the meaning of life while sipping their whisky on rocks in Tokyo’s jazz bars. How we imagine this country and its people (which is, unfortunately, mostly based upon the widely-spread prejudices): cold, reserved, serious, quiet…. and then BOOM! Everything fell into the water once we landed in Narita. Since the moment we landed all the way until the last day of our stay in Japan I’ve been more than amazed with Japanese people. Always up for help (despite the poor English skills): in the shops, restaurants, underground or street… always with a smile on their face and gently nodding their heads as a sign of approval. Japanese cuisine blew me away – diverse, creative, tasty and very healthy. When traveling I always do my best to stick to the rule “Eat and drink as a local”, because I believe that’s the best way to experience the country you’re visiting. And, yes, you can eat very good and very affordable in Japan. FOOD COURT at the open-air markets. In each and every city you can find small local restaurants located inside the open-air markets that offer freshly prepared food from the nearby food stands. “Good food in the good mood” are garanted! TA CHI KUI, translation: seat and eat. Small restaurants where you usually sit on the high chairs. Perfect to grab a quick Sobu soup, Ramen or Udon soup when on the go. 4. Food court in the shopping centers, tiny restaurants one next to the other whcih offer the food from different prefactures (parts) of Japan. 5. DEPACHIKA is the floor dedicated to food, the equivalent of our supermarket which offers a wide range of freshly prepared food, rich, creatively put together Bento boxes (portion, one person meal that consists of rice, fish or meat, veggies, pieces of fruit and sauces). After 6pm the prices of the fresh food are reduced 30-40%. There are no strick rules in Japan about which type of food should be eaten for which meal or at which time of the day – for example, the soups are eaten already for breakfast! After 24 hours long joutney, 16 hours in the plane and several hours at the airports, we finally landed in Naria, Tokyo Airport, and took a train to Yokohama, saving Tokyo for the last week, because – you need to save the best for last! Yokohama is a town on its own, even though there are those who consider it a suburb of Tokyo, known for its rich art scene and excellent jazz club. It was a soft landing. We got introduced to the Japanese cuisine right away on the first evening with the Sobu and Udon soup. Sipping the soup is normal and expected, because it is the easiest way to eat both the soup and long noodles that are inside of it. Soup is usually eaten with chopsticks and a large spoon. Holding the chopsticks in the right hand we lift the long, thin noodles and place them onto the spoon or otherwise directly eat them from the chopsticks which may require a bit of practice at the beginning. At the end, you can drink the rests of the soup directly from the bowl. Japanese cuisine doesn’t consist exclusively of sushi and sushimi, it has a lot, lot more to offer! Extremely rich, diverse, creative, tasty, light and healthy – I would describe it: divine! The most famous soups are Udon, Soba and Ramen. The soups get their names after the type of paste that is used for their preparation. SOBA is the soup with long thin buckwheat noodles, fish stock, Tamari soy souce, chopped scallion, mushrooms and spinach. Can be served with a boiled egg cut in half. UDON is the soup with somewhat thicker wheat noodles, chicken or vehetable stock, pieces of chicken or Kamaboku (fish cookie) and can be served with tempura or boiled egg. RAMEN is the soup that came from Chine long time ago, with rice noodles, usually chicken stock, with pieces of cooked pork or chicken and veggies. It is served with a thin bar of Nori algae, an egg cut in half, chopped scallion and sprinkled with sesame seeds. The day after we found ourselves in Kyoto and that’s where my Japanese adventure really started. Japanese people call this city “Japanese Paris”. Citizens are proud of its atmospheric parks, fairytale-like bamboo forest, Buddhist temples, Seinto sanctuaries, little old mystic streets bustling with traditional restaurants and teashops and all of those in perfect harmony with modern architecture, loads of high level boutiques and hip restaurants. Kyoto is visited not only by foreign tourists but by Japanese ones as well as they want to get to know better their own history and tradition. 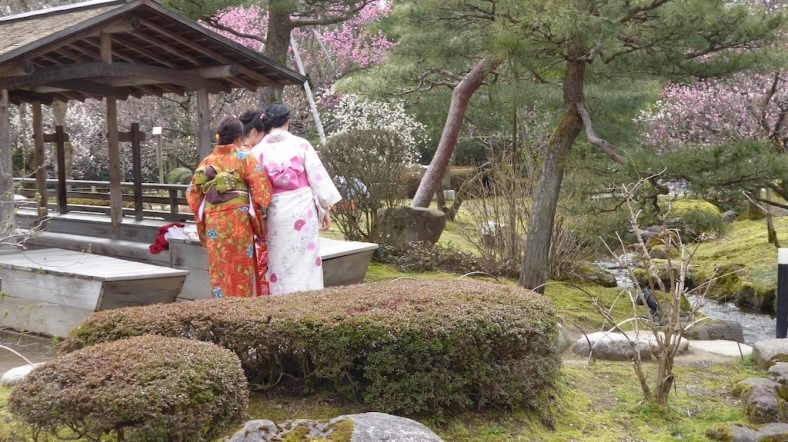 The former capital of Japan is up to this day the authentic place where the Tea Ceremony is still practiced in everyday life of the citizens and not exclusively inside the teashops. Wandering the streets of ancient Kyoto I found myself in the Nishiki open-air market or better to say “bazaar” as I think it describes closer the atmosphere of the place. In every Japanese town, bazaar still represents the heart and the soul of the city and today is the meeting point not only of the older generations but of younger ones as well. The Kyoto experience wouldn’t be full without visiting the bazaar. Web of a few main steet tangled with heaps of smaller ones, all covered and therefore perfect for spending a rainy or hot afternoon. Nishiki bazaar is packed with stands of fresh and dried fish, algae, seashells, squids, veggies, fruit, improvised and real restaurants, shops, pastry shops, old artesanal workshops, flower shops, hairdressers salons and it surely represents the world on its own. Almost every stand has a small grill or stove, so it is also the easiest way of getting to know Kyoto cuisine. Bazaar is heaven on Earth for every gourmet. 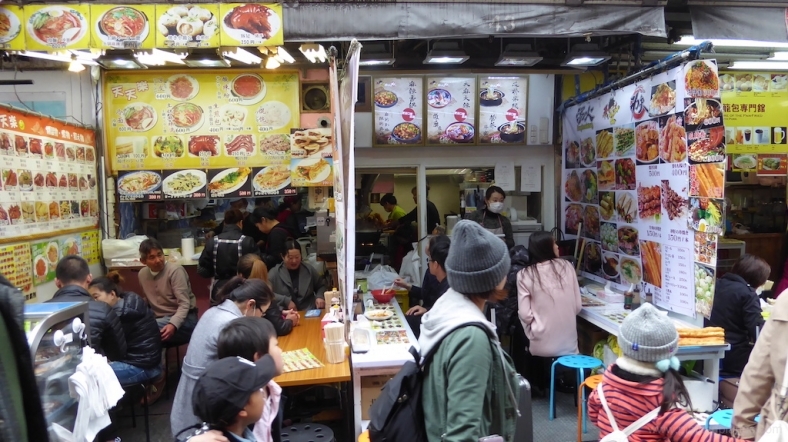 I found it liberating that there’s no haggling or nudging in long queues, just the opposite – the vendors are happy and proud to let you taste whatever you want without feeling obliged to buy it afterwards. It is also the perfect place for chill conversations with lots of gesticulation and some new Japanese word for your vocabulary. You definitely cannot miss trying the small grilled octopuses with various fillings, a those with a sweet-tooth won’t be able to resist the almond and cinnamon bars or matcha icecream. When in Kyoto, I recomment trying out their tofu, the most famous and the best one in whole of the Japan, very tasty and aromatic and has nothing in common with those gummy ones you find in your local convenience store. Kyoto is also the great place for introduction into Kaiseki (haute japanese cuisine) in which the Kobe beefteak reaches the perfection. Kyoto is a perfect place to get introduced to Kabuki theatre (traditional Japanese dance drama, with rich costimography and specific make-up) and gracious Geisha dance.